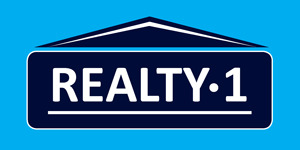 Realty 1 IPG is one of South Africa’s largest Estate Agency Groupings. Established in 1961, the group has expanded nationally over the past 40 years to offer an extensive range of Real Estate and related services. Continuous growth and system developments ensure that Realty 1 IPG offers clients world-class services. Though already firmly established in the retail industry, Realty 1 IPG strives to become even more of a market leader. Driven by the possibility of exceeding the expectations of franchisees, clients and stakeholders alike, we aim to increase profitability and insure continuous growth within the company. Our ultimate goal is ensuring top performance, production and profitability for all stakeholders while doing justice to our reputation of exceptional service and efficiency. Realty 1 IPG offers effective marketing strategies that ensure maximum exposure of your property. You have a well known name in the Real Estate world on your side and professionally trained Estate Agents to assist you and ensure that, whether you sell or buy, your venture into the Real Estate market is a stress free experience.